In 2013, when Bharat Babies was just an idea, there were 5x more books about dogs and trucks, then there were about all children of color. This might not seem like a big deal. After all, kids love books about dogs and trucks. So, what is the big deal? The big deal is, for children of color, their stories, their voices and their existence has been, for a large part, virtually obsolete in the children’s book industry. Over the past twenty-five years, less than 11% of all children’s books written featured some form of multicultural content. In 2014, that number “jumped” to 14%, in part to the efforts of nonprofits like We Need Diverse Books. Rudine Sims Bishop speaks to the importance of diverse children’s literature, using the metaphor of sliding glass doors, windows, and mirrors. Books can serve as windows, opening the reader up to worlds they never knew. They can be like glass doors, sliding open and allowing the reader inside. But most importantly, they can be mirrors. They can reflect our experience and our lived realities. And when we’re able to see that, it helps to affirm our very existence. It helps to bring value to our lives. And when that existence is absent, the message is clear. Children, all children, deserve to have a place on the bookshelf. They deserve to take up space and have their identities seen and heard. Over the past three years, Bharat Babies has worked tirelessly to help bridge the diversity gap in children’s lit. Starting with the stories of the founder’s heritage, the stories of India, the company has bootstrapped the funding to produce nine books over the past three years. 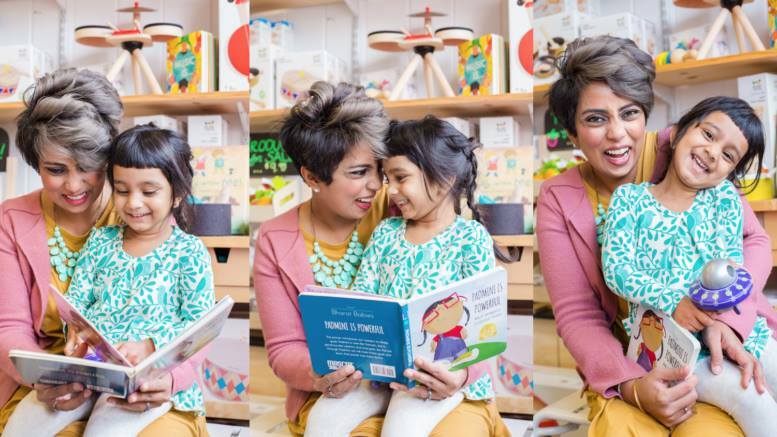 From board books, illustrated books, early readers and digital media, the company has helped South Asian children around the world see themselves. Their current crowdfunding campaign is looking to raise funds to double their current collection. This means more board books, illustrated books, and early readers. It means books in multiple Indian languages so children can stay connected to their mother tongue. But more importantly, it helps to further bridge the diversity gap in children’s literature. It helps to ensure that diverse stories are told through and with communities of color. It means that children of color can see themselves and know, that they matter. Supporting their crowdfunding campaign is a small first step in ensuring that every child can have a place on the bookshelf.